I’ll admit, it’s taken me quite a while to find myself on this natural hair journey. I didn’t have these informative websites, blogs, and YouTube channels to help me navigate through the trials and tribulations of dealing with my hair. 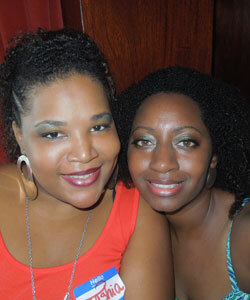 In fact, I didn’t know anyone else at the time I did my big chop that was truly natural. Sounds cliché, but I really felt like I was all alone. Fast forward to 2012, almost 8 years since my initial big chop, and I can’t imagine being natural without the immense camaraderie within the natural hair community. The world of natural hair has evolved so much over the past few years, and it’s been incredible watching the growth. Since giving up the heat and fully embracing my natural curls in 2009, five years after I began my natural hair journey, I’ve been enjoying the process of "learning my curls." I began to meet other ladies who were also natural, both newbies and veterans, and we had an instant connection. It’s this very connection that brings the natural hair community together, offering support and friendship through the bond that is our hair. 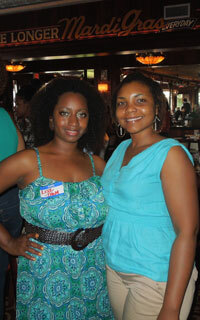 Another great way to develop relationships with your fellow naturals is through meet-up groups. These social organizations offer ways to interact with others beyond the screens, taking the bonding offline and into a more relaxed and comfortable environment. 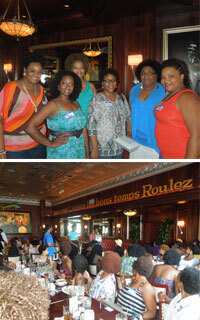 These meet-up groups have meant a lot to me since embarking on my healthy hair journey. My curlfriends keep me focused, listen to me vent about having bad hair days and share in the joys of having the best twist-out ever! Plus, it helps having people in your corner who truly understand the joys and struggles of being natural. When you decide to go natural, you can use all the support you can get. Just walking outside speaks volumes to the world that you are a proud natural! Don’t be afraid to share a compliment or offer encouragement to other naturals, we owe that to each other. 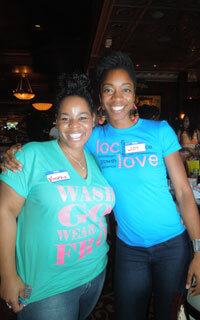 Get connected within your community by joining a natural hair group, attending natural hair events in your area or even by starting your own blog. You’ll be pleasantly surprised at the great relationships that can flourish when you surround yourself with positive people! What have you & your curlfriends done lately?